We are the conductors, the curators, and the designers. Jewelry is our art and our gems are the medium we use to create it. The inspiration behind our designs is contemporary. By definition, contemporary means “existing, occurring, or living at the same time.” This is exactly how we apply the term to our jewelry. Our contemporary designs are alive and an immediate part of the now. Contemporary designs can be very eclectic because they are always changing and borrow pieces and styles from all different eras. We make sure to apply the same diverse logic behind every one of our designs. 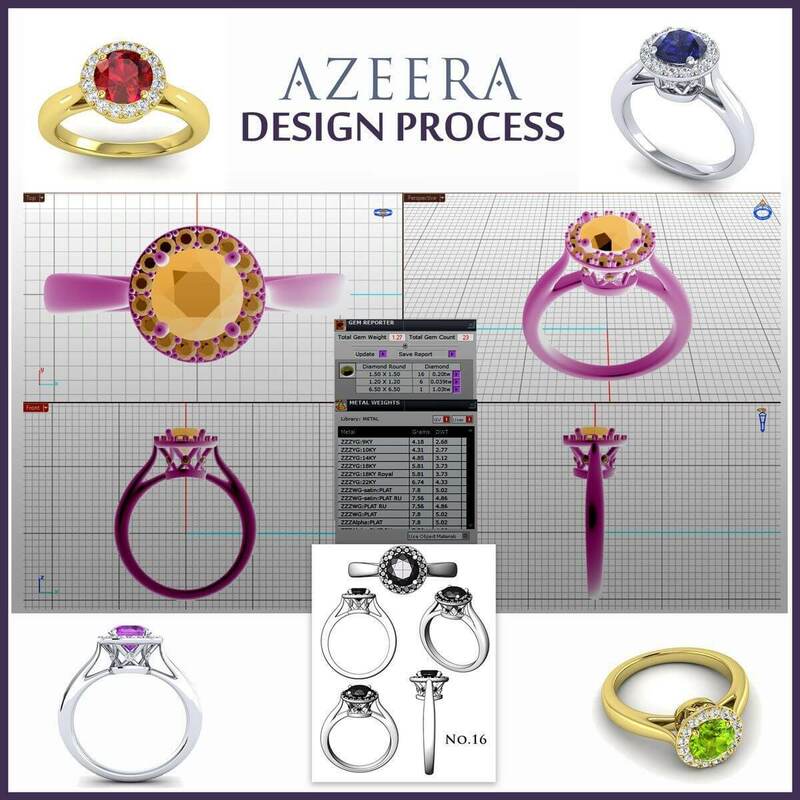 AZEERA was built around the idea of appreciating the beauty in gems. From the way they are formed to the way they are cut, our admiration covers both science and art. Each gem has a unique feature that can be enhanced by the way we cut and set our stones. Our designs incorporate our knowledge as gemologists into elegant and simple designs focused on promoting the natural beauty of our gems. While we are gemologists at heart, we hope to create something new and extraordinary.